PARIS: China, US and India together accounted for nearly 70% of the rise in energy demand. 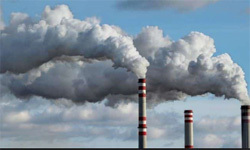 India emitted 2,299 million tonnes of carbon dioxide in 2018, a 4.8% rise from last year, according to a report by the International Energy Agency (IEA). China, India and the United States accounted for 85% of the net increase in carbon dioxide emissions, while emissions declined for Germany, Japan, Mexico, France and the United Kingdom, according to a report of the International Energy Agency. Global energy-related CO2 emissions grew 1.7% in 2018, which was the highest rate of growth since 2013. The report said the increase in emissions was driven by higher energy consumption resulting from a robust global economy as well as from weather conditions in some parts of the world that led to increased energy demand for heating and cooling. It said the emissions stagnated between 2014 and 2016, even as the global economy continued to expand. This was primarily the result of strong energy efficiency improvements and low-carbon technology deployment, leading to a decline in coal demand. India’s higher CO2 emissions have been spurred by an increasing consumption of fossil fuels.